Forget strawberries and the Summer Solstice, June means only one thing for the Luminous PR team: London Tech Week. You couldn’t keep us away if you tried. From 11-17 June we descended on the capital to check out London’s largest crowdsourced technology festival. Now in its fourth year, London Tech Week’s growth shows no signs of slowing down. This year’s festival featured 200+ events across the city, with over 55,000 people expected to attend. As ever, it was a fantastic week. We tried out exciting new tech, learned about the innovative developments in our sector, and networked with some of London’s most up-and-coming tech brands. 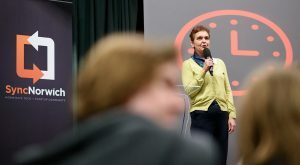 The event featured a number of prominent speakers, including Russ Shaw of Tech London Advocates, Julian David of Tech UK, Jenny Tooth OBE of UK Business Angels Association, Dr Angelika Sodian of NIO (UK), and Eric Van Der Kleij of the Centre for Digital Revolution. The event was attended by over 380 people, plus 120 Chinese delegates. One of our favourite parts was the first session of the day: Tech in Future Lifestyle. The panel was moderated by Russ Shaw; a great public speaker, and always a pleasure to listen to. Panelists included Sarah Haywood of MedCity, Ross Harper of Limbic AI, and Joel Hughes from Indiegogo. We particularly liked Sarah Haywood rushing to the NHS’s defence after someone else called it “stodgy”. In her opinion, tech entrepreneurs need to collaborate and engage with the system, not work against it. We also enjoy the business showcase exhibition that ran throughout the conference. We saw loads of exciting UK and China startups demo their tech, including Cognism, Extreme Fliers, Kodama, and Lingumi. Check out Cocoon Networks’ blog for a full writeup of their China-UK Hi! Tech Festival! Ever the culture vultures, we went to check out Art of Work on Wednesday morning: a collaborative and interactive art installation by Microsoft and SAP. The exhibition took place in the impressive OXO tower on the Southbank (we stopped for a nose around the Globe Theatre on our way). The exhibition featured two large installations that used light, big data, and motion sensors to create an intriguing interactive experience. At least, that was the intention. In our opinion, there could have been a little more detail provided about the sources of the data and what is was used for. Also, it wasn’t totally clear how you were supposed to interact with the exhibit. We muddled through, but some instructions would have helped! There was also a selection of (what looked like) 3D printed mini sculptures created by Microsft’s partners. Again, while aesthetically impressive, some more information about the partnerships would have been nice. We didn’t stick around to hear from the keynote speakers, but we’re sure they would have helped to clear things up a little bit! Hosted during this year’s London Tech Week was Getahead: a 24-hour festival focussing on health, happiness, and wellbeing. Though a separate event in its own right, Getahead featured a number of speakers from the tech world, including Sam Applebee of Pilotfish, @YourTechMums, and Michael Acton Smith, CEO of Calm meditation app. The festival was hosted at the super-cool OMEARA, a bar and events space at London Bridge. Getahead featured sessions on a range of topics, including avoiding burnout, addiction in the entertainment industry, the Chimp Paradox. There was also meditation, massage, yoga, and exercise classes, for those who like to boost their mood by working up a sweat. By far, our favourite part of Getahead was Scott Morrison’s Street Wisdom workshop. Founded in 2013, Street Wisdom is a social enterprise that helps people figure out solutions to the challenges they face – just by walking around the street! We wandered around the lovely courtyard at OMEARA, taking part in Scott’s seven-minute mindfulness exercises. Not only is it really good fun, but it also helped us come up with creative solutions to the issues that’d been bugging us. We really recommend checking it out if you get the chance. And, if there are no Street Wisdom events happening near you, you can always host your own. It’s free, and anyone can do it. Getahead was definitely our ‘hidden gem’ of London Tech Week 2018; we can’t wait for next year! On Wednesday evening, we headed back over to Moorgate for CIPR’s London Tech Week event. The focus of the session was how to communicate about innovation. Since communicating innovation is pretty much all we do, this was obviously of great interest to us! This was a panel event, featuring a number of comms experts. Panellists included Rebekah Tailor of NHS Innovation Accelerator, Matt Cross of Hotwire PR, James Taylor of DriveNow, Anne Vigouroux of AXA, James Howard of Deutsche Bank, and Sophie Cartwright of Facebook. We finished off our Wednesday at Shoreditch Town Hall on Old Street for the official LTW Tech Night Party. As well as the usual party essentials (well-stocked bar, R’n’B playlist), the highlight of the evening was definitely the Unicorn Rodeo. Six tech startup founders took to the floor to see who could last the longest on the bucking LTW unicorn. This year’s Unicorn Rodeo champion was Pip Jamieson, founder of The Dots: the professional networking site hailed as ‘the next LinkedIn’. Though Pip was triumphant, the other riders performed brilliantly, too. We were particularly impressed by the strong presence of female founders at this year’s Unicorn Rodeo, and LTW generally. ‘Women in Tech’ certainly seemed to be more of a theme at this year’s festival, and rightly so! The tech sector didn’t escape this year’s ‘gender pay gap’ scandal, and the 2018 Tech Nation Report revealed that just 19% of the tech workforce are women. While more needs to be done to ensure that men and women receive equal opportunities in the sector, Pip put it brilliantly: London is still the best place in the world to be a woman in tech. We had high hopes for this exhibition, with its great lineup of speakers, exhibitors, and so much going on under one roof. Unfortunately, we were left feeling a little disappointed. The venue seemed empty, and there just wasn’t a ‘buzz’ or atmosphere about. The achingly sluggish event infrastructure certainly didn’t help. The Wi-Fi was too slow to get on social media, meaning nobody was able to talk about the conference online. Even getting inside the conference itself was a difficult experience; the ticket scanners didn’t seem to be working, so event staff had to ‘check in’ each guest manually. Shouldn’t one of LTW’s largest events be partnering with the hottest event-tech possible to make this a slick process? We have nothing against the ExCel as an events venue, but its massive size means it can seem a little cold and impersonal – not helping the lack of ‘buzz’ at all. It also feels a little isolated, and it’s a bit of a trek to get there. London’s tech scene is very much focussed on the Shoreditch/Old Street/Soho area, so it would have been nice to see some larger events hosted more ‘in the thick of it’. Don’t get us wrong: though some areas of LTW had a little room for improvement, we had a fantastic and valuable week – as we always do! We’re confident, too, that the London Tech Week organisers are committed to improving the festival experience year after year. For example, in previous years we’ve been a little disappointed by the official LTW app. However, the updates to this year’s app meant it was incredibly helpful for researching and booking festival events. We look forward to seeing how the organisers build on this success for following years. We were also pleasantly surprised by the number of international tech firms who came over to the UK especially for London Tech Week. We had some great conversations with businesses from Spain, Israel, United States, China, and Italy. All these companies were so excited to be part of LTW, it made us feel really proud to be part of such a welcoming tech community. It certainly helps us feel a little better about the UK’s future following Brexit! 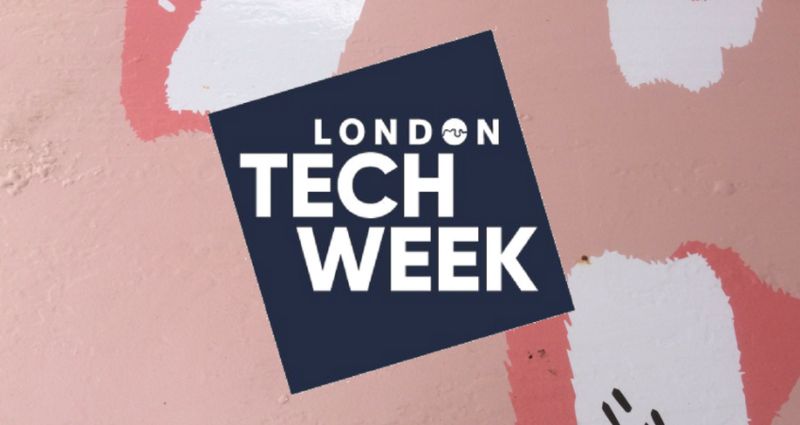 We’d like to thank the London Tech Week organisers as well as the individual event hosts – you did a great job! And to everyone we met at LTW 2018: hope you had a great week; see you in 2019! Were you at this year’s London Tech Week? What were your thoughts about this year’s events? Let us know over on Twitter! A Tech PR agency is only as strong as the amazing team that work there. Get to know our social media manager and Instagram lover, Yasmin Gray. We’re proud to be supporting Sync the City 2016! We're proud to annouce that we're a technical sponsor in this year's Sync the City event. Here's what it's all about, who the judges are, and more. 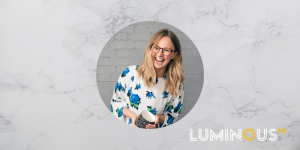 Want to learn more about the team working on your comms campaigns from Luminous PR? 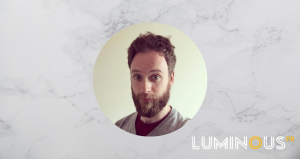 Get to know David, our digital marketing manager.